If you are looking for one ski that can go anywhere on the mountain and ski any condition, the Liberty Morphic Ski should be your choice. The Morphic Ski is a twin-tip ski with traditional camber. This translates to a great option for all ski conditions. You’ll be able to get an edge on the groomers, glide through the crud and chewed up snow…as well as float in the powder. The construction is a laminated bamboo and a polar core which makes this ski lightweight but tough at the same time. The bamboo core provides the needed energy and allows it to rebound. You’ll notice the energy and rebound when you are making tight quick turns in a chute. Edge to edge this ski will never disappoint and make those turns effortless. Designed with a 78-degree sidewall made of UHMW material, the Morphic provides good grip in hard snow when an edge is more than needed. The Quad-axial fiberglass on the top and bottom stabilizes this ski from tip to tail giving it a modern flex for all terrains and conditions. 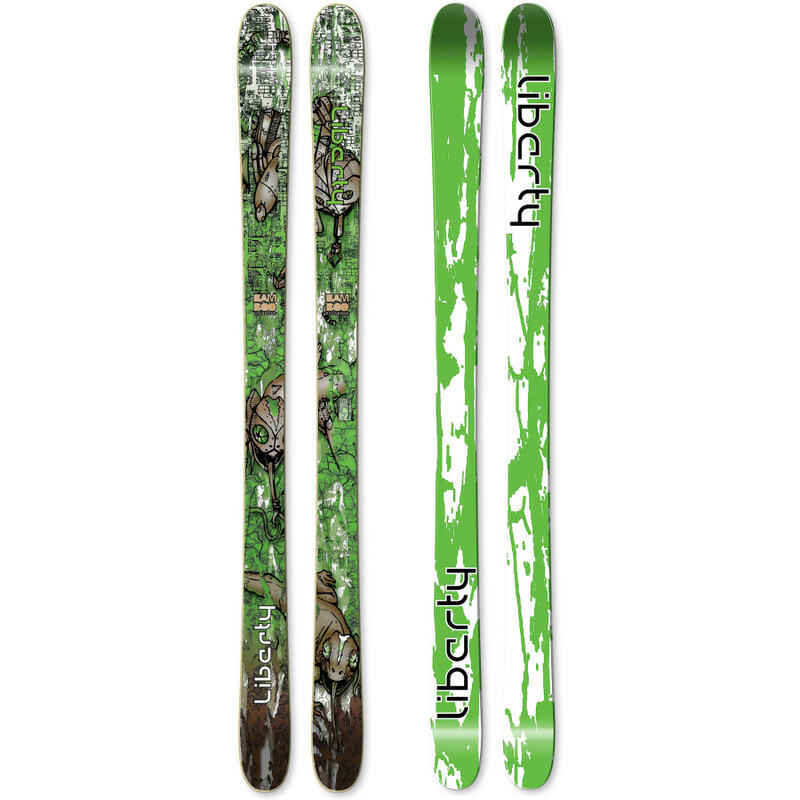 The Liberty Morphic Ski is new to the 2011-2012 ski line for Liberty. It’s a great choice for skiing Alta or any mountain where you get all types of terrain and conditions. Dimensions are 115-85-110 and come in lengths 164cm, 171cm, 181cm and 186cm. Check Availability @Backcountry.com or compare prices from other top stores by clicking the “Buy Now” button below. Panda Poles Review – Zero Drag Baskets!